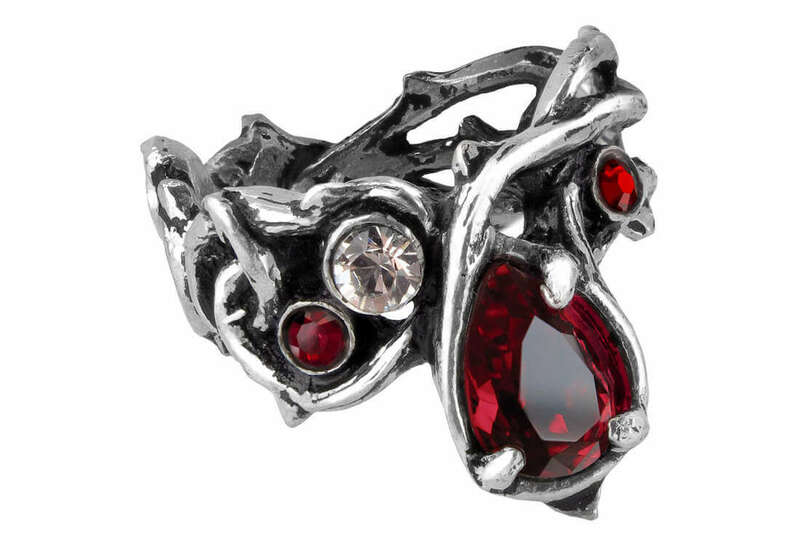 The Passion ring is a beautiful pewter ring, tortuous thorns of self sacrifice bleed with tears of Swarovski crystal. 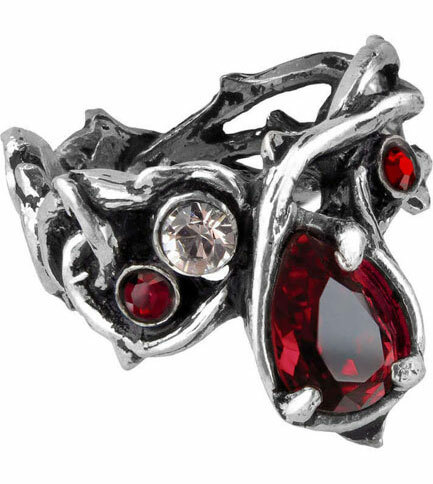 Measures approximately 0.94 inches wide, 1.1 inches high and 0.79 inches deep. By Gothic Alchemy.